Scotland, 1375: Muirteach MacPhee and his wife Mariota visit Edinburgh Castle, assisting the Lord of the Isles in his negotiations with King Robert II. A trading vessel arrives at the nearby port of Leith from the far away Norse settlement in Greenland. The ship brings unexpected diversion and carries coveted wares: gyrfalcons, unicorn’s horns, and fine furs. Both King Robert and the Lord of the Isles desire the rare birds, easily worth a king’s ransom. A fan of historical fiction since childhood, Susan McDuffie spent such vast amounts of time reading stories set in the past that she wondered if she had mistakenly been born in the wrong century. As an adult her discovery that Clorox was not marketed prior to 1922 reconciled her to life in this era. Susan’s childhood interest in Scotland was fueled by family stories of the McDuffie clan’s ancestral lands on Colonsay and their traditional role as “Keeper of the Records” for the Lords of the Isles. On her first visit to Scotland she hitchhiked her way through the Hebrides, and her initial visit to Colonsay and the Oronsay Priory ruins planted the seeds for her medieval mysteries. Those seeds have grown into the Muirteach MacPhee mysteries, set in medieval Scotland during the Celtic Lordship of the Isles. The series includes A MASS FOR THE DEAD, THE FAERIE HILLS (2011 New Mexico Book Awards “Best Historical Novel”), THE STUDY OF MURDER (New Mexico/Arizona Book Awards Finalist 2014), and THE DEATH OF A FALCON. 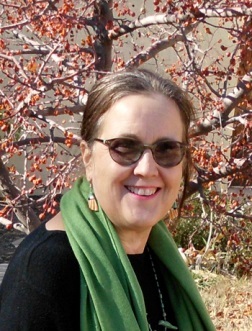 Susan frequently presents at workshops and conferences and regularly reviews historical fiction books for the Historical Novel Society’s “Historical Novels Review. 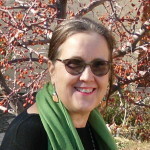 Susan lives in New Mexico and shares her life with a Native American artist and four cosseted cats. She enjoys taking flamenco dance classes in her spare time. Susan loves to hear from readers and can be contacted via Facebook or through her website. During the Blog Tour we will be giving away 5 paperback copies & 5 eBooks of The Death of a Falcon! To enter, please enter via the Gleam form below. – Giveaway ends at 11:59pm EST on May 11th. You must be 18 or older to enter.